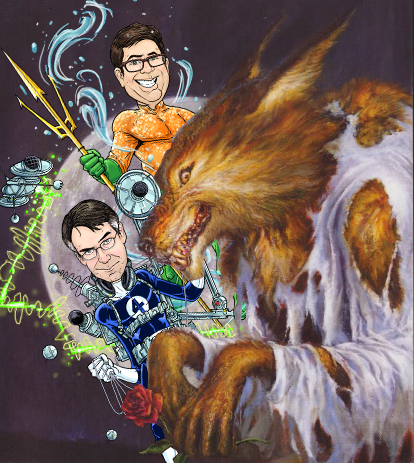 In our wrap-up to Worldcon 76 coverage we head back in time, kinda, as Anthony Boucher’s novella The Compleat Werewolf was nominated for a 1943 Retro Hugo award at this year’s Worldcon. Derek sat down for an interview with Boucher’s son Larry White for a discussion of his life and works. Then off to chat with Ira Nayman, editor in chief of the new Amazing Stories magazine for a broad discussion of the magazine and science fiction in general.